This Labrador Retriever nicknamed Nugget sold and went to a new family. 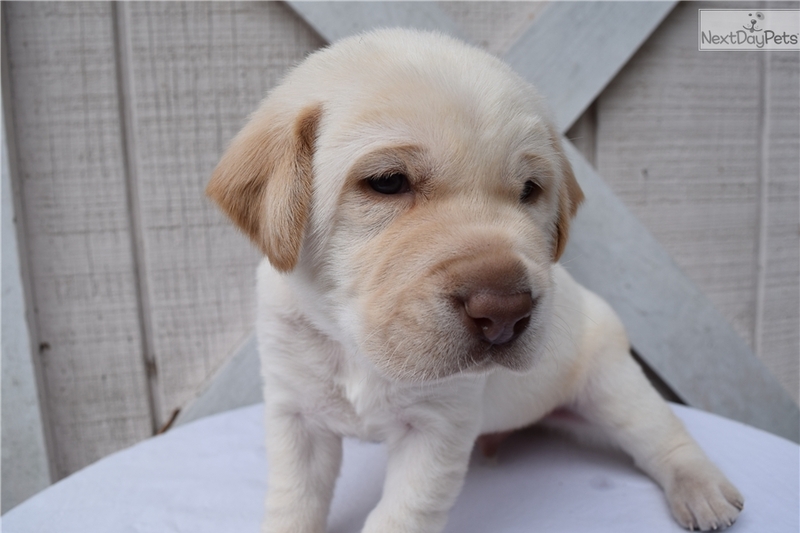 You can make a deposit now to reserve Nugget, or one of his 4 brothers, and 4 sisters. They are ready for new homes Dec. 19th. Just 6 days before Christmas! We start potty training our pups at 3 weeks old, so when they leave for their new homes, they are well on their way to becoming housebroken. Females are $1,500, Males are $1,300. If you call, ask for Bentley.